After receiving several messages to do a full Tulum travel guide on my blog, I’ve finally put one together! Connor and I went to Tulum for 7 nights right after our wedding in October. Since it was our honeymoon, we definitely didn’t do as much or take as many photos as I would have wanted on a regular trip. I actually took the entire week off from blogging, so these photos are all iPhone snaps. Our first priority was to relax!! With that said, being there for a full week really allowed me to learn a lot about what Tulum has to offer. There are so many things I want to do when we go back! As I mentioned before, this was our honeymoon trip so we decided to spare no expense for our accommodations. 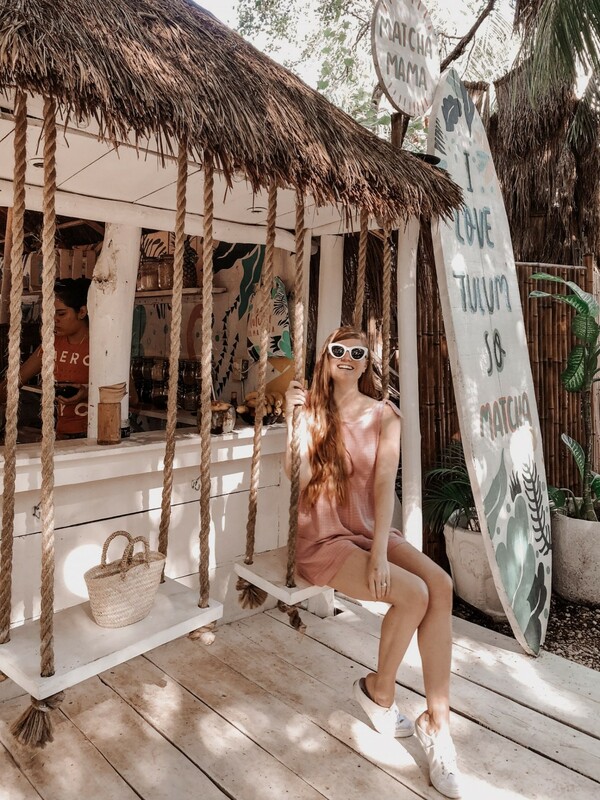 I had read mixed reviews on some of the Instagram famous hotels in Tulum (such as Azulik and Nomad), and I wanted to make sure that at the price point we were looking at, everything was going to be absolutely perfect. My must haves included AC, wi-fi, and a beach with shaded cabanas. A lot of Tulum hotels focus on unplugging and it’s not uncommon to have no wi-fi (Azulik has no electricity at all!). While we wanted a relaxing trip, no wi-fi is taking things a little too far for us lol. 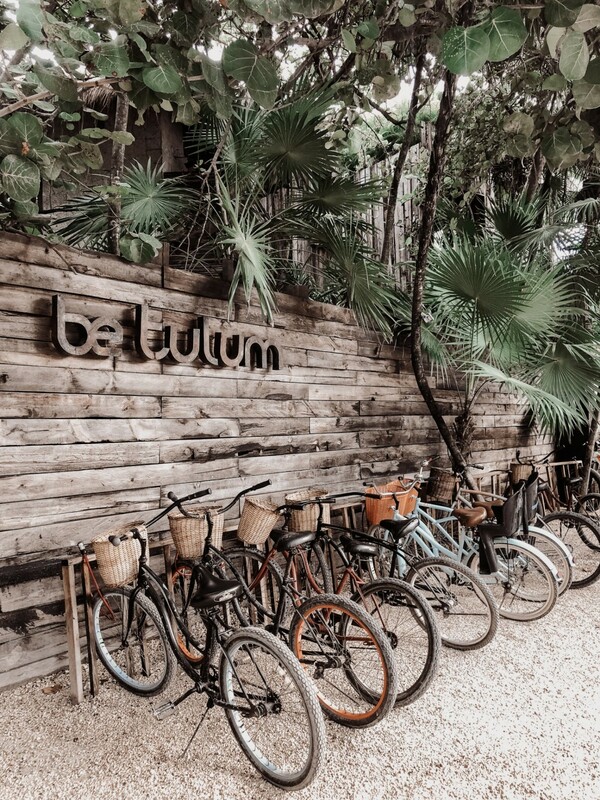 After TONS of research, I landed on Be Tulum – I could honestly write a novel about how much I loved this hotel. We stayed in an Aire Suite, and had our own private plunge pool and rooftop deck overlooking the jungle. The decor was minimal and natural, and I still dream about the bathroom and shower. It was literally #goals. The beach was beautiful, and there were tons of sun beds for guests to enjoy both with and without shade. They had complimentary bikes for guests, which were perfect for cruising around town. One of our favorite parts was eating breakfast every morning – it’s complimentary for all guests and out of this world amazing. I indulged in everything from green smoothies, to fresh açaí bowls, to avocado toast. Connor went with things like eggs benedict and huevos rancheros. The menu was extensive and you could order as much as you like! Every morning I would get an iced latte, a smoothie, and a main meal. It was heaven. In terms of safety (as I know that’s top of mind for a lot of people when traveling to Mexico), I never once felt unsure or at risk. We will truly never stay anywhere else in Tulum, and we’re already planning our next trip back to Be Tulum. 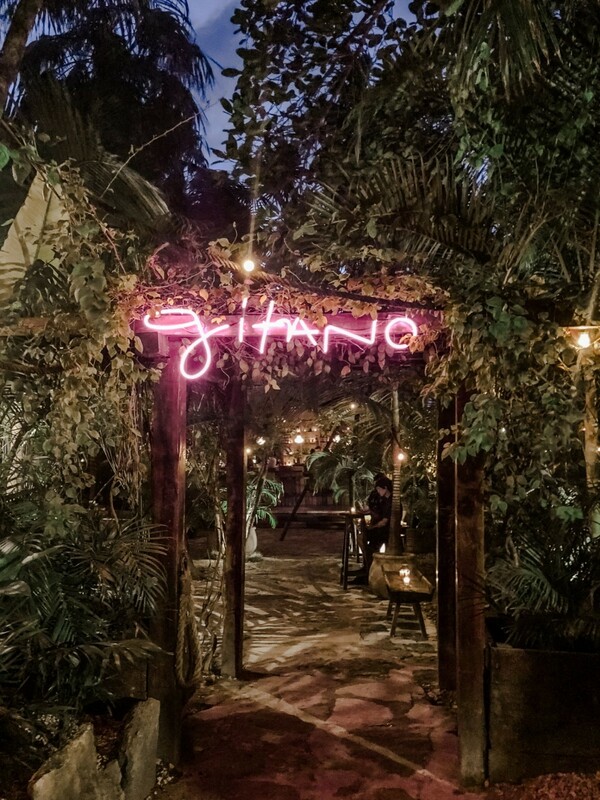 Gitano: Gitano is a really fun restaurant to grab margaritas and tacos. You feel like you’re eating in the middle of the jungle, and the decor is very well done. The tacos and margs were the best we had all trip! 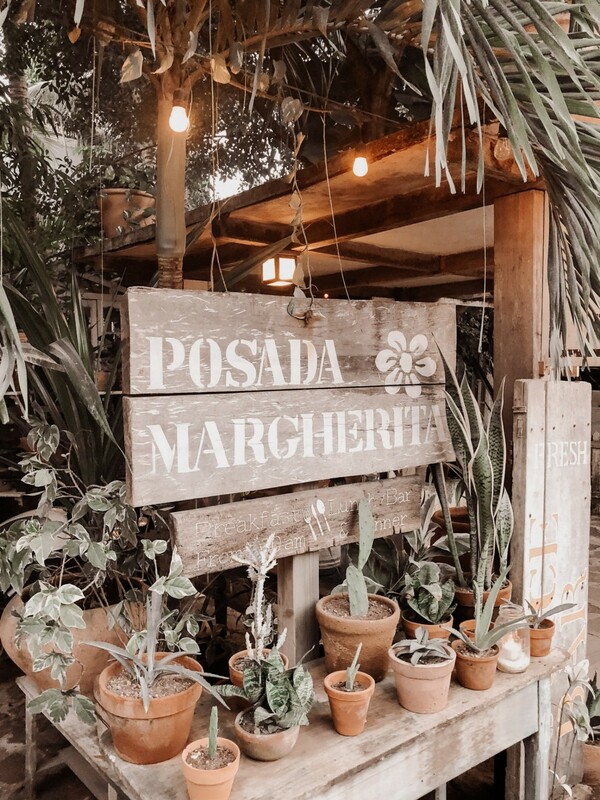 Posada Margherita: Posada Margherita is a beautiful Italian restaurant right on the beach. They serve homemade pasta, and the menu changes every day based on what’s fresh. This came highly recommended, and it did not disappoint. Note that it’s cash only!! Hartwood: Hartwood is probably the most famous restaurant in Tulum, and it’s known as the best of the best. I’ve read reviews saying that Hartwood was not only the best food in Tulum, but it was the best food they had ever eaten! Unfortunately we were there in the off season, so it was closed 🙁 I still included it on my list since it comes so highly recommended. I can’t wait to try it the next time we visit Tulum. Matcha Mama: This is a cute little roadside cafe offering fresh juices, matcha, and açaí bowls. Come for a refreshing and healthy afternoon treat! Maresias: This was the restaurant on site at Be Tulum, and we ate here more times than I can count. It was of course convenient for us because we we’re staying there, but the food was beyond delicious. From fresh fish tacos, to pulled pork, to truffle ravioli – we always left extremely satisfied. One of the things we were most surprised by was the quality of food we ate in Tulum! Visit a Cenote: While in Tulum, I knew I wanted to visit a cenote. If you’re not familiar, a cenote is a natural pool where you can go swimming and snorkeling. They’re known for their stunning turquoise waters and jaw-dropping caves. We chose to go to the Grand Cenote, as it’s the closest to Tulum (about 20 minutes from our hotel by cab). The entrance fee is $10 or 150 pesos, and if you wish to rent snorkeling equipment it’s an extra cost. We saw tons of turtles and it was such a beautiful photo opportunity. I wish I had my camera there! 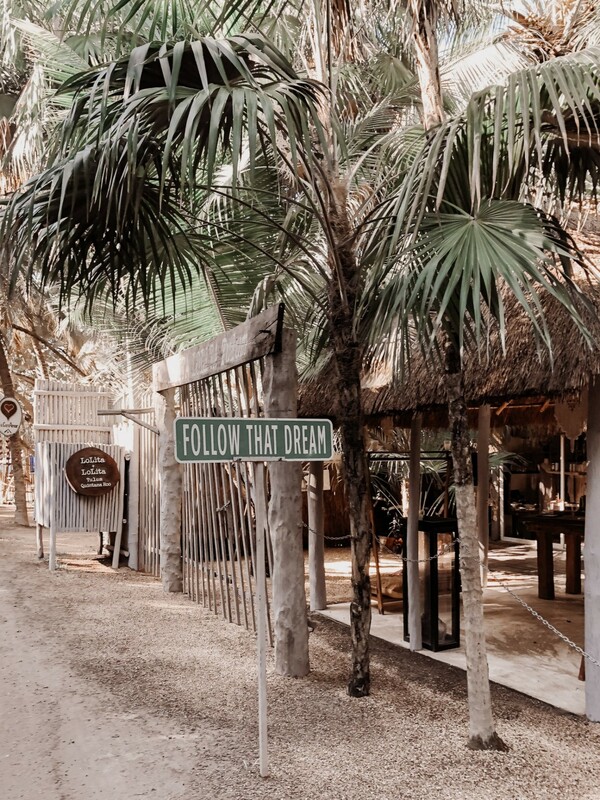 Explore Tulum: There are so many amazing local boutiques and cool bars along the main road in Tulum. Spend an afternoon wandering in and out of shops and stopping for a cocktail afterwards! Tour Chichén Itzá: While we didn’t have a chance to visit the Mayan Ruins on this trip, when we go back I want to be sure we make the trip. It’s one of the seven wonders of the world! I’ve heard that it’s best to go early in the morning to beat the heat, and bring lots of mosquito spray. This would be a great thing to do with kids as well since there’s so much history! Bring Pesos: Most places do not accept credit cards, so be sure to come with plenty of cash. While many places accept American dollars, you will most likely end up spending more that way. It’s best to have pesos so you can always pay the exact amount. Be Cautious: While I never once felt unsafe, you should always have your guard up. We booked all of our taxis and excursions (including our car service to and from the airport) through Be Tulum so that we could be sure we were always getting a trustworthy price, and not being scammed. I recommend booking as much as you can through your hotel directly! Pack Bug Spray: While Be Tulum gives complimentary mosquito spray to all of it’s guests, I can’t say the same for other hotels. We didn’t think to bring bug spray, and were SO thankful that our hotel provided it for us. You’ll need to put it on every day, especially at night. 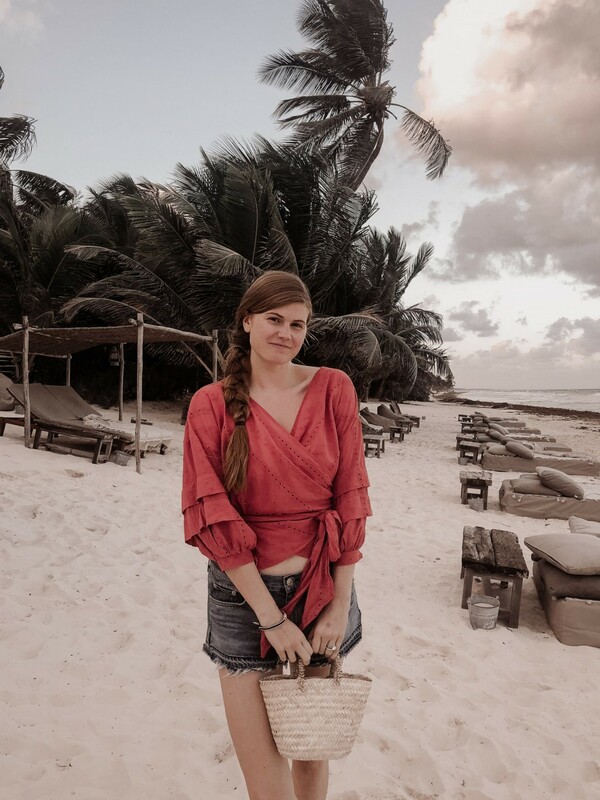 I hope you enjoyed my Tulum travel guide! Have you been to Tulum? I would love to hear about your experience! 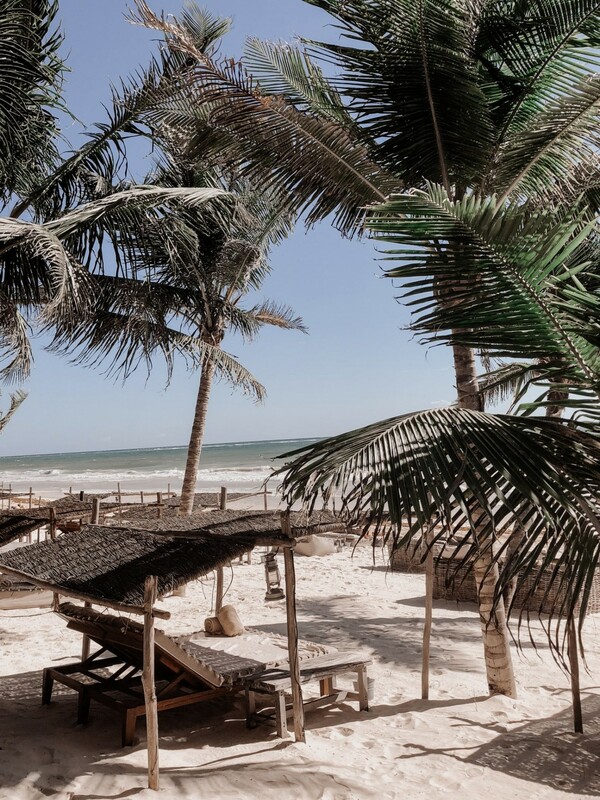 Loving this Tulum travel guide feature? Take a look here for more of my travel favorites! I really want to go to Tulum! This guide is so helpful and didn’t know that it is common to not have wi-fi. I’m with you and it is a must haha! Tulum is totally on my dream list!! Your photos are so beautiful! Your trip looked beautiful! Such stunning views – and I’m sure it was great to escape the winter weather. Wow this sounds like an amazing trip! I love trips that I can focus on relaxing and not working! Oh my gosh, what an amazing trip! The hotel you stayed at is breathtaking! I need to take a trip to Tulum soon. Your trip sounds like a dream! Glad you had such an amazing stay. I haven’t been on a tropical vacation in a while and you’re making me want to go!! I also love how effortlessly pretty your style is on vaca! It sounds like such a wonderful time. I’ve always wanted to visit Tulum. I’m glad you shared a full guide because I definitely trust your recommendation. Oh – and congratulations!!! I LOVE Tulum!! What a great guide you did here. Can’t wait to go back this year. 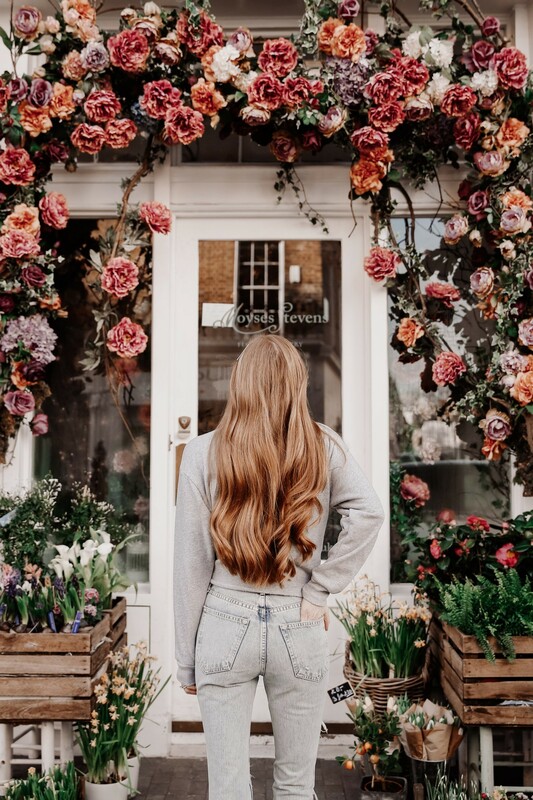 Loved this travel guide Mollie! Sounds like you guys had an amazing honeymoon and I’m dying to go to Tulum now! OMG Tulum looks and sounds amazing! Sounds like you had a fantastic honeymoon and I’m totally adding this to my bucketlist!